You know when you have The Best Idea Ever and make plans a few months in advance. And then the time rolls around and you're like 'what was I thinking?!' - this was my thought process when my alarm went off yesterday at 4am on my 30th birthday. 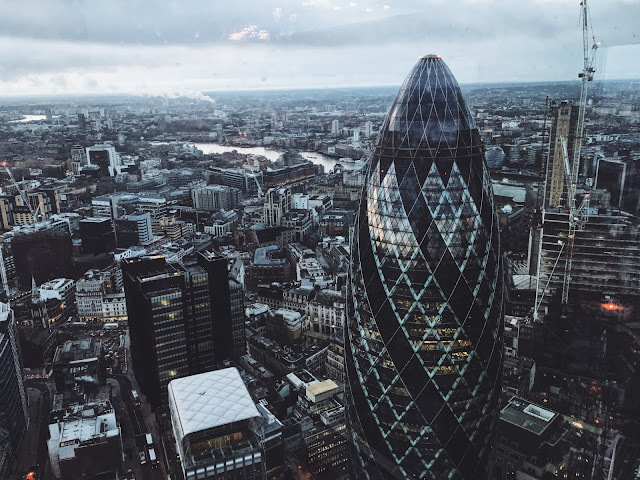 5 of my beautiful friends and I piled into an uber at 5am to catch the sunrise over London and have the most exquisite breakfast of my 30 years - hello Duck & Waffle. 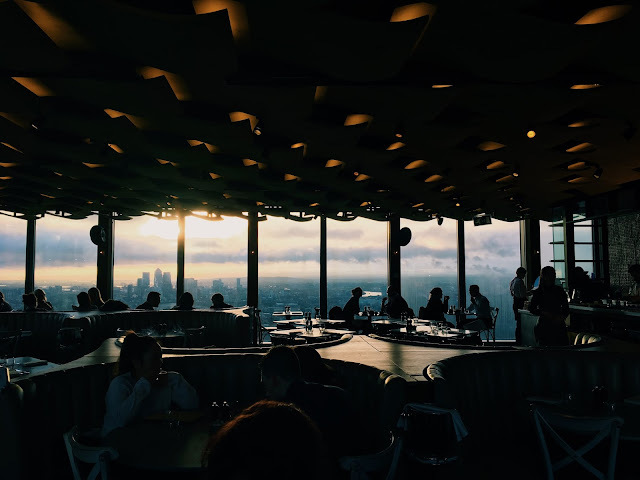 If you haven't heard of Duck & Waffle there's a high probability you don't live in London. It's the tallest 24/7 restuarant in the City and accessable by a lift to rival Willy Wonka's. You definitely feel those waffles when you quickly descend 40 floors in the glass elevator. 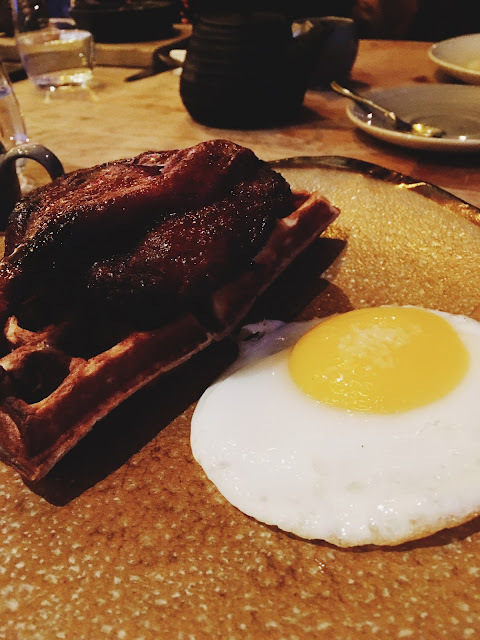 I opted for the aptly named Duck and Waffle - a fried duck egg with crispy duck leg on a large, fluffy waffle accompanied with maple syrup. I'm dribbling at the thought of it - the duck was tender, crisp, succulent and very sweet. This was chased with the Banana Brulee Waffle, because if you can't be indulgent on your 30th birthday when can you? The Banana Brulee Waffle was incredible - the banana was perfectly glazed and crispy but I couldn't finish it. There's indulgent, and then there's potential stomach upset. We booked the table for 6am (the time I was born, FYI. See - there is method to my madness) and we were finished by 7. The bill came to just under £200 for 6 of us, and this included coffees plus the most beautiful, glittering sunrise over London town. You really can't put a price on that view. © Lauren French. Theme by Templates by Kate.